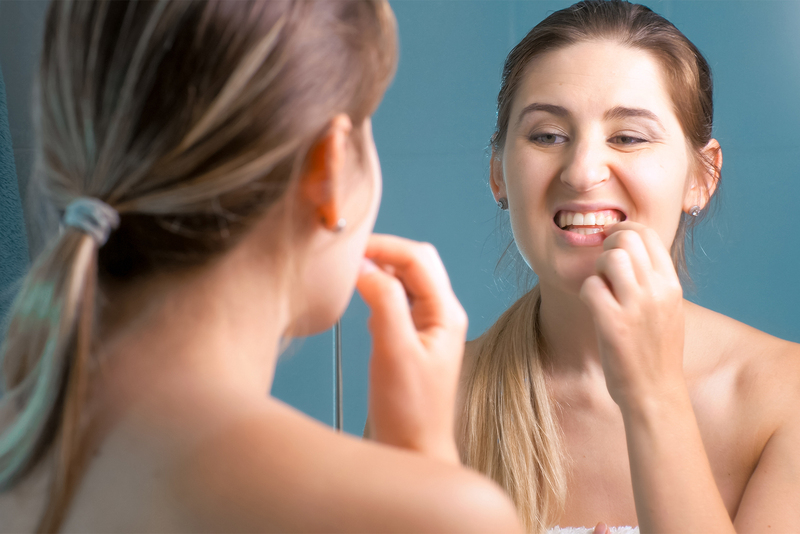 It’s a well-known fact that brushing your teeth is a key part of a great #oralfitness routine, but did you know that it also includes paying attention to your gums? In honor of National Gum Care Month, I am reminding you to include gum care in your dental routine! This month is so important because improper care can lead not just to oral issues – like gum disease, commonly known as gingivitis – but also have a detrimental impact on your general health. According to a study done by the Harvard Medical School, if you have healthy gums, you are far less likely to suffer from diabetes, cardiovascular diseases, chronic respiratory disease, and many other illnesses that you wouldn’t normally associate with oral health. Like I always say – great #oralfitness equals great overall health! Gum disease can be painless and easy to miss, so it’s important to know the signs. Common symptoms of gum disease include: inflammation of the gums, tenderness, gums that are unusually red, swollen, and prone to bleeding (not including when your gums bleed from the dentist flossing them). If you think you may have gum disease, see your dentist immediately while there is still time for the damage to be reversed. Leaving it for too long, can lead to periodontitis, which unlike gingivitis, will affect the bones that hold your teeth in place, as well as permanently damaging your mouth. • Brushing and flossing your teeth: you better believe that brushing your teeth twice a day and flossing at least once a day will result in making your teeth as clean as they can be. Don’t forget to change your toothbrush every three months, too – it’s a key detail in oral health care. • Drop the cigarette: Nothing good comes from smoking. If you’re a smoker it can wreak havoc on your teeth and gums alike. Kick the habit, and you’ll be on your way to clean, happy teeth. • Curate a healthy diet for yourself: we all know that junk food is bad for our bodies, but it’s equally bad for our teeth. Having a steady diet of vegetables and fruit keeps your body and teeth in top shape. Don’t forget to drink plenty of water too! • Regular dental check-ups: That yearly visit to the dentist allows for any questions you have, but also gives your oral practitioner a chance to check your pearly whites and make sure there aren’t any health issues creeping up. If you can make it twice a year, even better! You know your teeth best. This National Gum Care Month, take extra time to care for your teeth and gums and call your dentist if you have developed any signs, or may fear that you have gum disease. Keep up the great #oralfitness work!